The cloud of sadness seems to have dissipated slightly, though it's still here. Thank you all, once again, for your kind comments and words of encouragement. It is so helpful to know that even when I'm home alone, feeling intensely despondent, I'm really not alone...that caring friends and strangers are, for some reason, willing to go through this hell with me. I don't know why you're all still reading, but I'm sure glad you are. Since Tuesday night, when the cloud arrived, I've managed to make it through each day, trying to be as productive as possible, but it hasn't been easy. I just can't shake it this time. In the past I've been able to distract myself by staying busy, but for the past few days I feel like I've had to reach into the depths of my being to find strength I don't even think is there. It's like everything I do takes so much energy and everything I see or hear makes me even more sad. But I have no choice - so I just keep going, hoping that this too will pass...or at least get easier. While I actually have a moment to sit down and write I would like to share one little story that brings a smile to my face when I think about it. 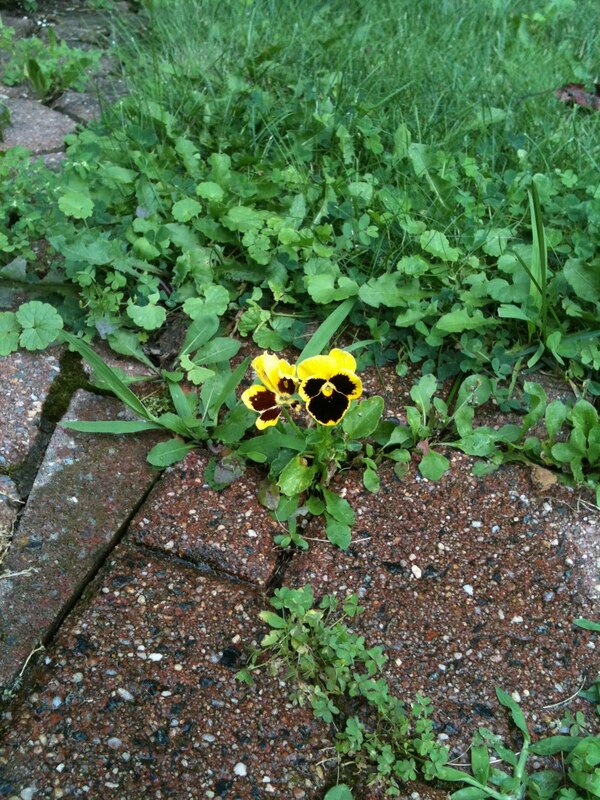 It has to do with perennial pansies growing in front of my house. Let me begin by saying that I am the farthest thing from a gardener. I generally feel that I don't have time to deal with my yard so I cut my grass and call it a day. When I do try to plant things they usually die so I don't plant things. Two years ago, in April of 2008, I was getting my house ready for Peter's birthday. I knew a lot of people from out of town would be stopping by, so I wanted my yard to at least be presentable. We're not talking about any kind of real landscaping, but I did trim my hedges, put some mulch down and attempt to plant a few flowers. I have two planters in front of my house so one day while Kate was in Kindergarten, Peter and I went to Home Depot to pick out some flowers. As I said, I know nothing about flowers so I thought I'd let Peter pick some out. It wasn't a big deal to him, but he happily chose some yellow pansies. So together Kate, Peter and I put them in the planters where they survived until the fall when it got cold. I was amazed that they actually survived through the summer. Then last spring came (2009) and I definitely didn't feel like planting anything (though, thankfully, sometime in mid-June a bunch of friends came over and helped me with me yard). 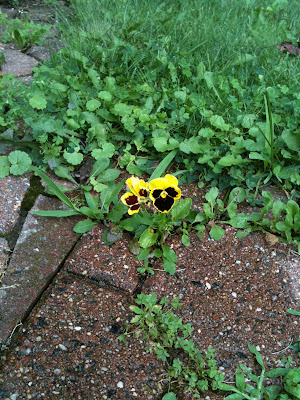 However, one day in early June I noticed two little yellow pansies growing in between the bricks of my front walk. As I mentioned, I know very little about flowers, but I do know that pansies are annuals, not perennials. They were so sweet. They grew there all summer and were still blooming when I came home from Italy in November. I know they're not much, but to me they felt like a little gift from my kids. This spring rolled around and I wondered if the pansies would come back, though I doubted it. Nope, nothing but dandelions this year...until two weeks ago, when two yellow pansies popped up on the other side of my walk. One day they weren't there, the next day they were. Thank you, Peter and Kate! I needed that. What an awesome "pick me up" from Peter. So sweet to read how they are watching over you and giving you a boost when you need it most. Oh gosh, LOVE THIS!! Just reading this brings such a big smile to my face to see how they can still surprise you, and send their love, I can only imagine how much warmth this must bring you each morning when you walk out that front door and see them!! I can see their smiling faces! The strength is there. We've all seen it. The fact that you, like you said, just keep going, shows it. You've got a lot of support and we know you can keep going. You asked why we keep reading. The moment I heard your story, I felt sick, angry and sad and wanted to help you somehow even though I had never met you. For some reason I feel that reading supports you and I love the stories you write about Kate and Peter. It gives me hope that the people I love who I have lost are here somewhere helping me along the way. Please don't stop writing you are helping others more than you know. Just lovely. I knew something like this would happen for you. I have heard similar flower stories - little gifts from people no longer with us (long told in my Dad's family is the story of the pink rose bush turning white when my great aunt passed and her son was grieving so badly - I saw it - can't explain it). Two flowers. Just .... unbelievably sweet ... giving mommy a lift :-). That is absolutely beautiful. I got a huge lump in my throat and tears in my eyes, and then felt such a feeling of happiness. I KNOW that those pansies are from Kate and Peter! I just know it. They are watching over you every second. Your children are truly all around you. You should save the pansies at the end of the year and press them in a book, so you'll always have that reminder. How sweet and beautiful! Can you frame the picture of the flowers? Pansies are sweet...just as Kate and Peter!! What a beautiful story! I do believe it is a sign from them. My sister in law lost her son years ago, and she had a special story about a butterfly. Years later, when she needs it most, she will see a butterfly in the strangest places and at times when you surely wouldn't expect one. We believe it is him. Kate and Peter seem to know just when you need them the most! Those two perfect little yellow pansies, one for each of them. Your kids are so special. I never had the chance to meet them or you and had it not been for my mom on her way to Niagara Falls that very day, we would never have "known" your orecious babies at all. Please know that even though we have never met, your sadness and love for your kids extends to us. Keep your chin up, you are an amazing woman and you can survive this, not unscathed, but you will make it. It is better to have loved and lost, than never to have loved at all. I also can't help but think of Garth Brooks "The Dance" when I think of you and your beautiful Angels. Sending lots of love and (((hugs))) to you! I am not very familiar with blogging and posting. I have not read your whole story since I am not sure where to start. I can say from what I have read that my heart and prayers are with you. I lost my daughter a year and a half ago. 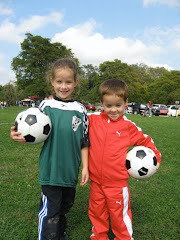 I know well the pain of losing a child but cannot imagine the magnitude of losing two. I have learned that grief has no time frame, no steps and no boundaries. In your heart you know you will never get over the loss, but find comfort in knowing that you will get through your grief. You must believe that you have the inner strength inside of you to get through it. About 4 months after her death I started hearing her say to me, "Mom, it's not what happens to you in life, but what you do with what happens that will make the difference"! I thought my God, how do you make a difference with something like this. One day walking past her room, I thought "My God Her Empty Room!" Then it came to me. My daughter had become the inspiration and driving force behind a group I started for Parents who have lost children called - www.the-empty-room.com. We meet in Oakmont, PA. Look at the web site, and I would love to speak with you if you ever feel you can. There is the opportunity to learn and grow in life, this is also true in death. So as we fumble through the work of grief, disbelief, confusion, darkness and heartache, we become better, stronger people if we let ourselves, and become true to one's self. At some point you will believe in your heart what you already know to be so in your mind. There is a saying on a tombstone in Ireland "Death leaves a Heartache no one can heal, Love leaves a memory no one can steal". So as difficult as it may be, you must reach for those moments of joy. Yes your life has been forever altered. You will never be the same. But, be patient with yourself, you will learn to go on, but in a different way. I have learned a totally different perspective on grieving from one of the groups I attended after my daughter died led by Dr. Barbara Coyne. Her website is www.barbaracoyne.com. She has just published a book called "You Don't Have to Like it, But You Do Have to Live It". I have learned about the true grieving process from her. Know there are many of us out here that understand your pain although we will never know exactly what you have experienced. Feel free to join us at any time. One again there is no right or wrong way to grieve, but sharing does help, and we find comfort in knowing we are not alone.